how hard it is to experience economic disenfranchisement and cycles of poverty. This is what motivated me to get involved in blockchain and act as an educator, entrepreneur and investor. The most interesting project I am working on right now is the B4SJ conference series. We are bringing together politicians, community organizers and blockchain entrepreneurs together to collectively re-envision the way blockchain projects are designed and implemented. I am also working on a blockchain for healthcare. This will allow those without insurance to access the services they need. From the moment I stepped into the blockchain ecosystem, Ari Eisenstat has helped and supported me every step of the way. From supporting my vision and helping my focus on my goals, to connecting me with people who wanted to co-create a movement to support the development of blockchain projects that truly support and impact the most marginalized. I have also received so much support from Matt Quinn, founder of Starfish, a co-working space for blockchain projects. Also, Mimi Kaming is amazing! She taught me alot about blockchain and we are doing work to help women in the space heal from financial trauma. She runs the crypto girls group. Ending generational poverty: By empowering traditionally marginalized people to build wealth with crypto, we accelerate closure of the wealth gap and spark change on a economic, social and cultural level within impoverished communities. Decentralizing bureaucracy: blockchains can be designed to accelerate access to data and resources and eliminate the need for a human who can have their own bias and lack of altruism. Accelerating change: ICOS and the decentralized, peer to peer nature of blockchain can assist in fast tracking alot of the projects we are working on. Build localized economies: We can absorb the impact of a crashing economy by using blockchain to build localized economies that use a holocracy system and inherently rely on one another for advancement. Scott Morris from Qoin is working on this! Improving transparency for publicly sourced funds: Blockchain can also allow us to see where all of our public dollars are going! Corruption and embezzlement are so rampant that it goes under the table. Allowing taxpayers to vote on where there funds should go and how money should be used is a great way to use this technology. Accelerate automation: People need jobs to survive. Employment levels are directly connected to rates of domestic violence, creating blockchains that can wipe out industries is possible. Be wise. Accelerate fascism: Enhance the power of already corrupted leaders to surveillance, impede and interfere in the matters of citizens. Increase wealth gap: If access to crypto currency trading is not rapidly decentralized within the next year, it will create a permanent chasm between the classes and communities will fall through the cracks in an already decaying economic system. Lack of privacy: Since a group of people will have their data aggregated in one place, it makes it easy to implement surveillance. Add AI to the mix and you have an even bigger issue! Impact natural progression: We want technological development to come swift but we also need to keep in mind that without nature, we wouldn’t have technology. Our technological advancement needs to go hand in hand with the restoration of the environment and preservation of non-renewable resources. I have used my success in order to develop programs and platforms to educate, uplift and inspire all types of people from millionaire investors to underserved communities. 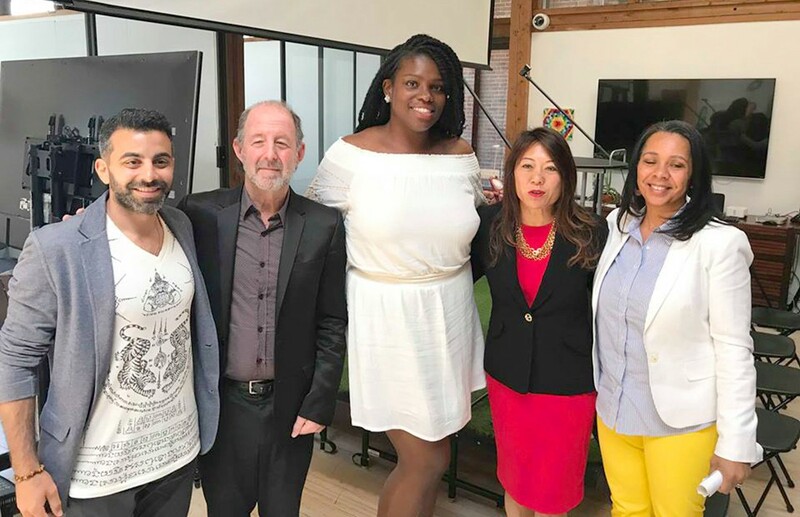 I recently hosted a conference to support underserved communities in learning about and accessing cryptocurrency. It was an amazing turn out and now we have a whole set of community leaders that can further the education and message. I have also used my success to create a healthcare center in Oakland that provides free services to those without insurance! I would say, first, don’t let anyone define you. If I didn’t define myself for myself, they would kill me and say I enjoyed it (Zora Neal Hurston quote.) Second, please do self-care. That means mental health, good nutrition, exercise and spiritual growth. Couldn’t get to where I am at without it! Lastly, find a group of good people with strong ethics and morals.